Stepping is a great way to strengthen the heart, tone muscle and burn calories. 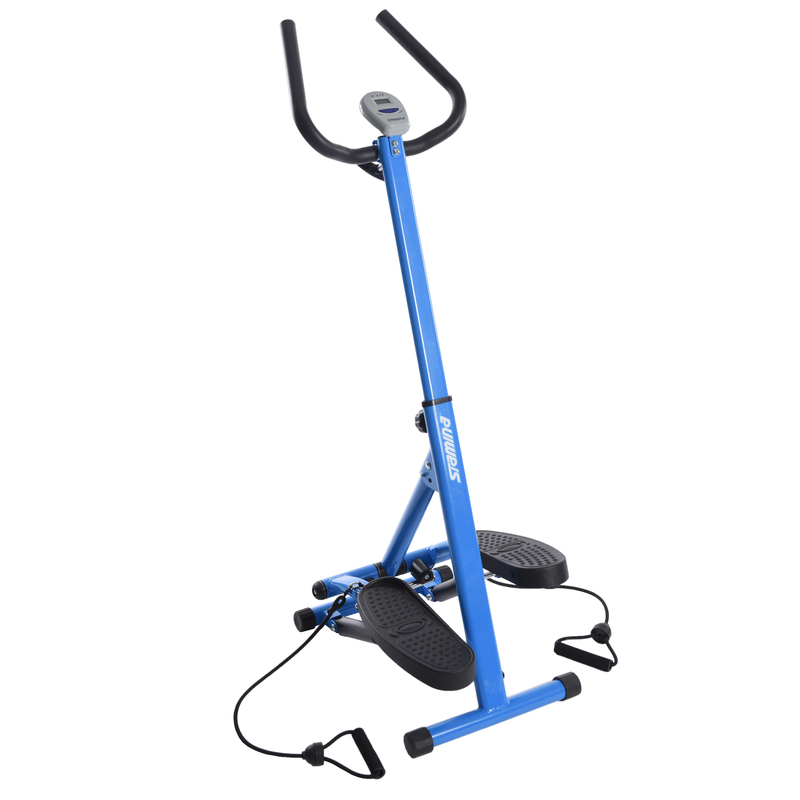 The Stamina Space Saving Stepper with Upper Body Cords provides an effective solution for users of all kinds. The compact design makes for easy use in any home or office space. 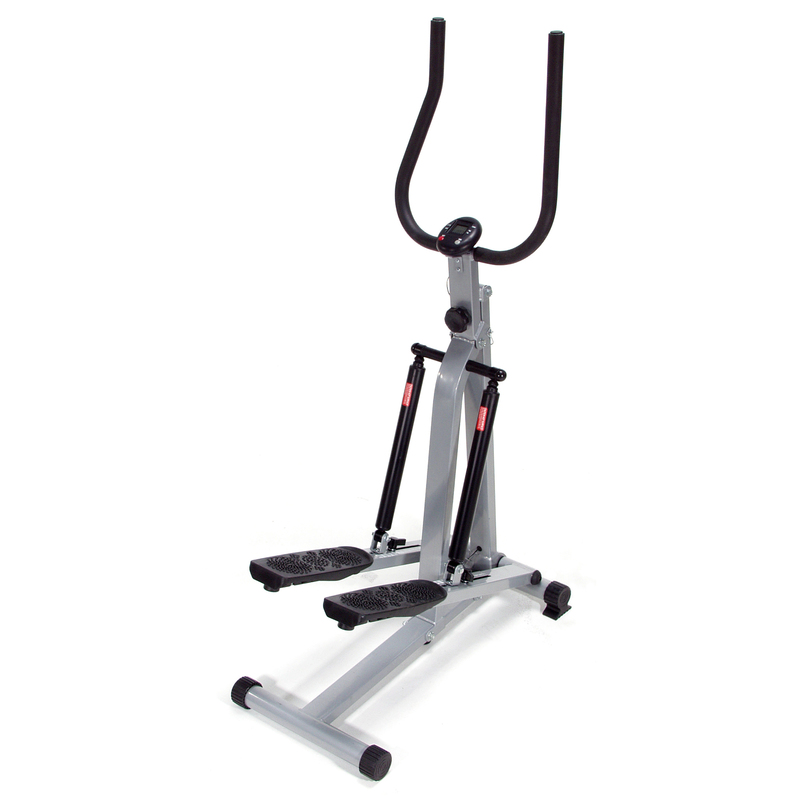 Quiet, hydraulic resistance on the Stepper offers the workout you desire without disturbing the neighbors. The multi-function monitor displays time, step count and calories during your workout. Scan mode cycles through each of these metrics in real time. Use the optional resistance bands for upper-body exercises like lateral raises, bicep curls and shrugs. Ergonomic handlebars can be adjusted to suit any height. The hand grips and large, textured footplates provide comfort and stability while stepping. After your workout, fold the Stepper for easy transport. Easy assembly. For an affordable, versatile in-home stepping machine, the Stamina Space Saving Stepper with Upper Body Cords is the answer.